Over the weekend the MG Owners’ Club has been delighted and privileged to host two exclusive MG maintenance seminars for Club members hosted by John Twist the renowned MG expert from the United States. Anyone who has ever Googled an MG problem will be familiar with the over 300 YouTube videos on just about every aspect of classic MG tuning and maintenance presented by the charismatic John Twist the extremely knowledgeable engineer. Participants travelled from all over the country to the MGOC HQ in Swavesey near Cambridge, with one member even flying down from Scotland. John took the groups through the basic sequence of tuning an MGB with his tremendous enthusiasm, incredible detail and with his trademark humour. The programme for each day was a presentation in the boardroom and then down the fully equipped modern MGOC Workshop for a hands on practical demonstration using the MGOC’s own 1969 MGB on Saturday with one of the delegate’s cars, a 1980 MGB GT on Sunday. On each example John demonstrated a thorough MGB tune up, detailing setting up the distributor, timing the ignition, adjusting valve clearance, torquing down the cylinder head and setting up the twin SUs. Each operation was covered in careful and methodical detail with numerous tips and asides for the best approach gained by John’s extensive experience with the MG marque. John took particular care to impress upon his audience the need to be consistent in their approach to tuning and problem solving with numerous practical examples and case histories. Delegates were drawn from all types of Club member, those who had owned their MGs for years to those who had just bought their cars but they all agreed that they had gained enormously in understanding and confidence. At the end of each day all the delegates confirmed that they had really enjoyed John’s entertaining style and that they had found the seminars an inspiration to tackle more challenging tasks on their own MGs. Note: Press release courtesy MG Owners’ Club. John Twist is the MG guru behind Michigan’s University Motors who has helped countless people maintain, restore, and understand their MGs. He has run a successful shop, has an informative video series, and now is an international speaker. Twist will be inducted into the British Sports Car Hall of Fame on Friday, June 2nd. 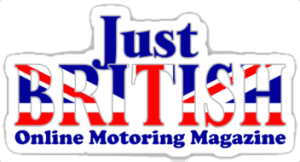 Michael CarnellEditor at Just BritishMichael Carnell is the editor and founder of the Just British Online Motoring Magazine. As a lifelong British car fan, he has owned or driven British cars of all ages from Austins and MGs to Jaguars and Triumphs. 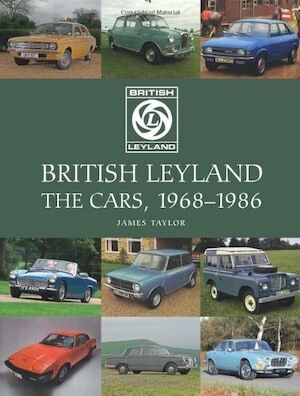 He currently owns a 1966 Vanden Plas Princess 1100, a 1977 MGB, and a 2002 Land Rover Discovery.